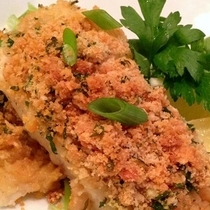 This mouthwatering lingcod recipe will delight everyone! 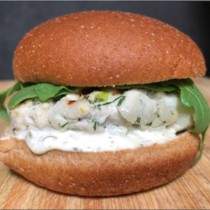 It can be made with halibut, rockfish, or almost any other fillet, and we think it would be exquisite with prawns or shrimp too! 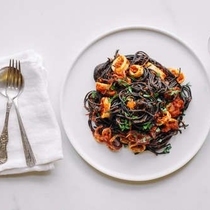 It comes to us from our member and site host, Debra Brender in Monte Sereno, who found it on the food blog Cooking With Mamma C. It's her family's favorite, and soon will be yours (and ours) too! 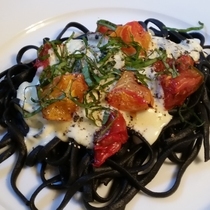 Enjoy the wonders of Monterey Bay in this fresh inky black pasta with its slightly briny flavor. The puttanesca sauce is simple, fragrant, and savory and pairs well with many types of seafood. 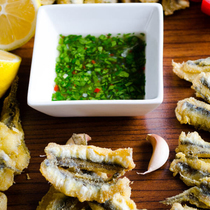 You can use our Monterey Bay anchovy boquerones or store-bought anchovies for this recipe. 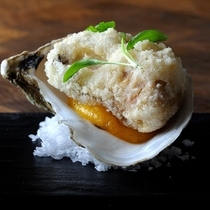 Fresh oysters encased in a crispy tempura batter are served in their shells on a dollop of apricot purée - simple, delicious, and very impressive. 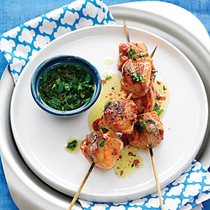 Surprisingly easy too – perfect for a romantic evening or a dinner party. 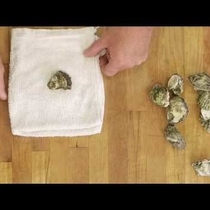 In this video, fisherman and chef Kevin Butler demonstrates how easy it is to shuck an oyster. 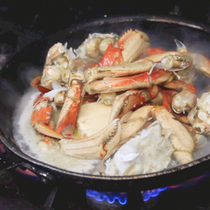 This simple recipe highlights the exquisite flavor of Dungeness crab. 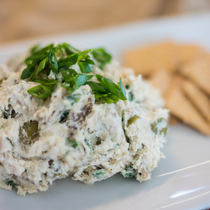 Enjoy it as an appetizer or entrée - everyone will love it! This recipe came to us from Food52. 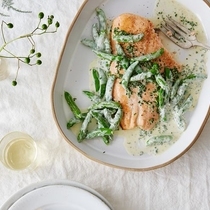 Salmon and peas are a classic New England pairing! Tuna, salsa and avocado all in one bite - fabulous! Recipe originally from Sunset Magazine. 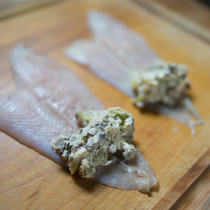 This recipe was created by our chef/fisherman Kevin Butler after diving for sea urchin at Sea Ranch on the north coast. The dish is rich with umami goodness. A rich and hearty pasta dinner when you feel like a little pampering. Try folding in some fresh arugula or peas at the end. You won't be disappointed. 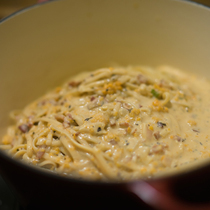 This is a shortened version of our own Chef Kevin's Uni Carbonara recipe using our uni butter. 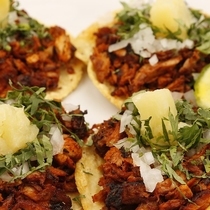 This recipe is adapted from chef Gabriela Camara of Mexico City, who made her mark on the food world with her restaurant Contramar. 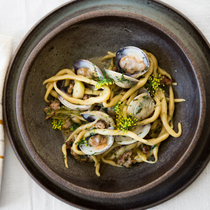 For those of us in the San Francisco area, she has another fabulous restaurant, Cala. Diana Kennedy, anthropologist and author of Mexican Regional Cooking, has been her friend and advisor for years. Chef Camara is using local, seasonal seafood in her San Francisco restaurant, including this stellar recipe for black cod. 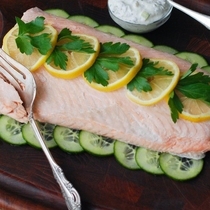 From www.themediterraneandish.com "As we follow the Mediterranean diet, my family eats fish fairly frequently–twice per week, most weeks. Admittedly, we do quite a bit of salmon, halibut, sole, or even canned tuna. 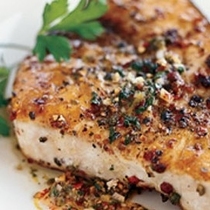 But on days I run into a great swordfish sale, no question this swordfish recipe becomes dinner. 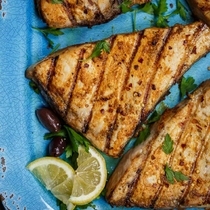 Aside from it’s many health benefits, swordfish is like the steak of the sea–satisfying, sturdy, and takes well to serious spices and marinades." 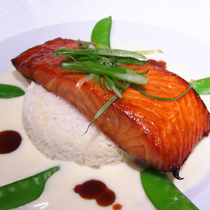 This poached salmon recipe delivers complex flavors that belie its easy preparation. 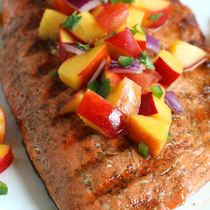 Perfect for summer salmon! 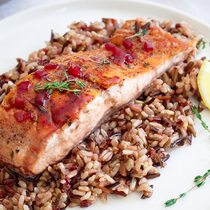 This quick and easy glaze takes salmon flavor to a whole new realm! Enjoy with rice or bread to soak up all the deliciousness. The addition of the sweet vermouth here punctuates the natural sweetness of the canned tomatoes, making this quick sauce taste as if it's been simmered for hours. If you can't get to New Orleans to taste the south, then make it at home. Spicy prawns paired with Coke Farms' organic Ethiopian blue-tinged wheat berries, onion, bell pepper, celery and mushrooms. This simple flavorful meal is perfect for cold winter evenings. Roasting the potatoes, chanterelles and fish, then topping with a fresh zesty herb pesto is an unforgettable combination! This recipe was shared with us from member Kym Morello, who loved that it was "easy, fast and excellent!" 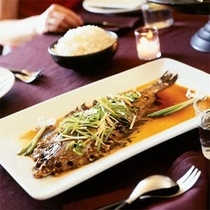 It will also be delicious with other kinds of fish, so enjoy it creatively! This simple recipe was found on bon appétit. A great start to a simple meal or your exciting interpretation. 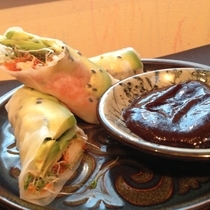 Thanks to member and food blogger Amy Sherman for this recipe! 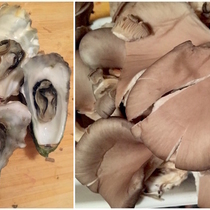 A delicious bisque with both oysters and oyster mushrooms. Oyster mushrooms look a bit like oysters in color and shape. 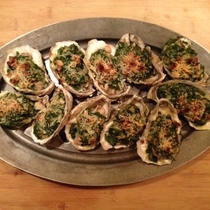 They have a very mild earthy flavor that is reminiscent of oysters as well. 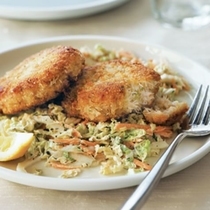 This delicious recipe works beautifully with any firm fish. It's also quick to prepare, so it's a recipe you'll turn to again and again. From Indian Inspired Gluten-Free Cooking by Alamelu Vairavan and Margaret Pfeiffer. Cioppino is the original fisherman's stew from San Francisco. Feature a flexible assortment of seafood in it, or focus on one or two seafoods, like Dungeness crab when it's in season. We've made some suggestions below! This recipe is simple and delicious! It came to us from Zerrin of Give Recipe. 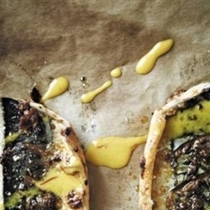 You may find that anchovies are your new favorite seafood after tasting these! This easy recipe was sent to us from member Jamie Kohlmann, who found it through the New York Times cooking section online. 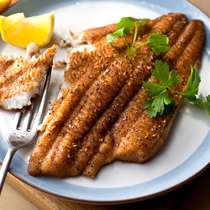 This would work well with many other kinds of fillet: grenadier, lingcod, Petrale or Pacific Dover sole, rockfish, or white seabass, to name a few. Be creative and enjoy! 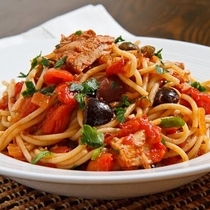 This recipe brings together a lot of great local flavors: albacore tuna, rosemary and tomato, with garlic, anchovy and black olives for depth, and a pinch of chili flakes for spice! 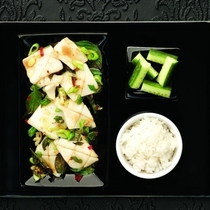 We like this combination of fresh Thai Basil with albacore! 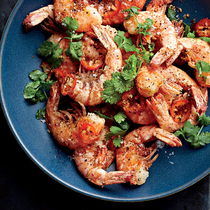 From Food 52's website, "These are inspired by Thai and Mexican cuisines, and make a delicious, quick dinner. The albacore filling is loaded with herbs, lime and green onion, and cooks up super-quick in the skillet. 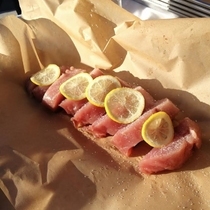 Since I used a non-sashimi grade fresh tuna, fully cooking the meat was best, and the quick cooking method retains the tuna's tender, fresh flavor. 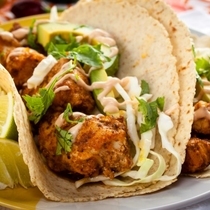 We filled fresh, steamed corn tortillas with the albacore, topped them with a good, store-bought spicy pepper sauce and a generous squeeze of lime, and had the first of what will be many visits to our homemade taco-shop treat. I cannot wait to make this again. It is SO good." A delicious use for our light-textured Pacific Dover sole, but also goes well with any white fish like Petrale, rockfish, or flounder. This recipe came to us from the Cooking Channel. This memorably delicious recipe came to us from Food52. 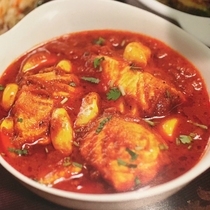 A delightful spicy-sweet way to enjoy your king salmon! It also works well with grenadier, halibut, lingcod, rockfish, seabass and prawns - oh, yes. 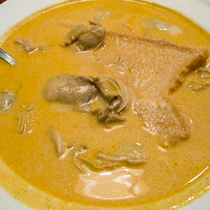 This luscious stew is legendary at the Grand Central Oyster Bar in New York City, where it has been served since they opened in 1913. There are various versions of it available online, but this one came to us from Real Good Fish member Sylvia Park of Santa Cruz, who speaks of it in superlatives. Here's a recipe from Transition to a Kitchen that helps you make the most of California king salmon and winter squash. 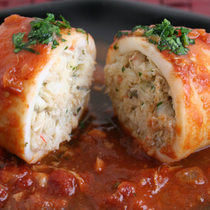 This recipe works well with all different kinds of seafood. Experiment to find your favorite! 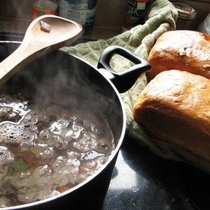 A favorite preparation from our founder, Alan Lovewell - simple and oh-so-delicious! This is one of those dishes that is hard to stop eating! The pasta, with its dramatic color and mild flavor reminiscent of the sea, when combined with the lush cream sauce, roasted tomatoes, and fresh basil, makes a mouthwatering and memorably satisfying meal on its own. But it's very seafood friendly too. Add calamari to it for the perfect symphony of flavors - or maybe you prefer shrimp, or flaked halibut fillet pieces, or...you get the idea! These tacos sell out wherever we serve them! Try them at home and see how delicious they are. 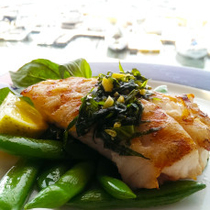 You can substitute halibut, lingcod, rockfish, and even salmon - they are all fantastic prepared this way! This recipe is from Food52. The smoked paprika-scented sauce makes for a festive, warming, and extra-special meal. You'll want some fresh crusty bread to enjoy every bit of it! This quick, easy, and really delicious recipe came to us from member Alice Gates-Wilcox, who found it in Comfortable Under Pressure by Meredith Laurence. While her preparation uses a pressure cooker, this could be done easily without one too. 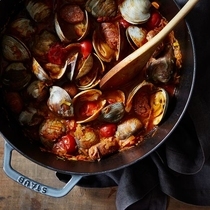 Without pressure cooking, small clams will only need about 10 minutes of steaming. This dish originated in Russia, but made its way to Alaska via fur trappers. It's a wintery dish, but as we all know, coastal California gets some of its coldest months in the summer. You can use either smoked salmon bites or fresh salmon with this recipe. It's also fabulous with Carmel Canyon Smoked Black Cod. This delectable recipe came to us from Gordon Ramsay's Home Cooking. If you've never tried mackerel before, this is an excellent way to start. If you think you don't like it, this recipe might change your mind! 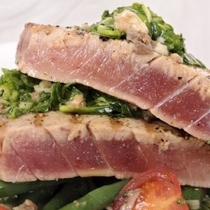 You can make this with albacore, salmon, or yellowtail too. 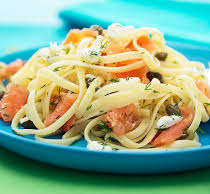 This recipe works really well with fresh salmon also! 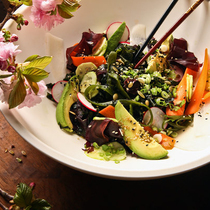 California's bounty of local food never stops translating into fabulous dishes. You should be able to find all the ingredients for this dish at your local farmer's market in the late summer. And if it's winter, just swap out zucchini for your favorite winter squash. Enjoy! 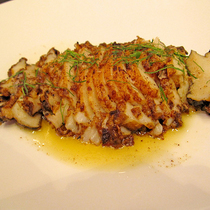 This is a wonderfully flavorful way to enjoy fresh squid. The lime and basil are bright and fresh, the chilis add heat, and the fish sauce depth. With some jasmine or sticky rice and a cooling vegetable alongside, it makes a memorable meal. 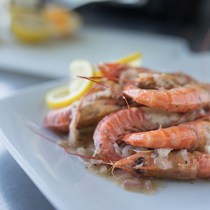 Try it with ridgeback or spot prawns too! 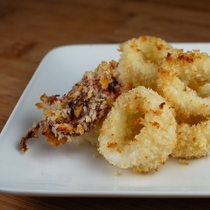 This is an easy and flavorful way to serve calamari – and it's a meal in itself! 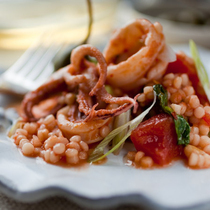 Redolent with rosemary, garlic and red pepper flakes accenting the sweetness of calamari and pine nuts, and all of it highlighted by the tomatoes and capers. 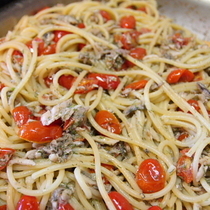 On the Amalfi Coast of Italy, grilled chunks of tuna over pasta is popular with grated lemon zest. 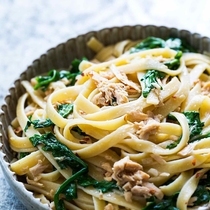 This recipe from Bon Appétit is reminiscent of the warm coast and these two comfort foods, tuna & pasta, with lemon & arugula for a spicy, tart elegance. Mackerel is delicious this way too! 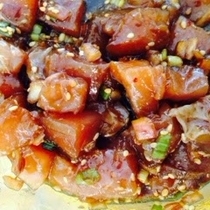 While poke is traditionally made with ahi tuna, it's also fabulous with albacore, which is a smaller tuna and has softer flesh. This recipe is particularly great for dinner on a hot summer night or as an appetizer when friends visit. 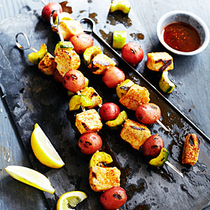 Delicious served with sweet potato or plantain chips. 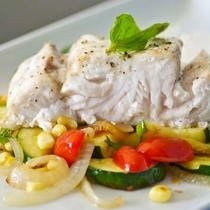 Consider using yellowtail or jack mackerel also! 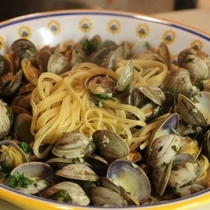 While perusing clam linguine recipes, we noticed that many included instructions for making your own fresh pasta. There really is nothing quite like it, but we know that many of our members don't have time, so we offer fresh linguine from Bigoli Pasta in our member store whenever we can. 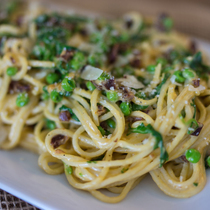 Whatever pasta you use, this recipe will turn out delicious! This recipe is from Food 52, as adapted from the Slanted Door. 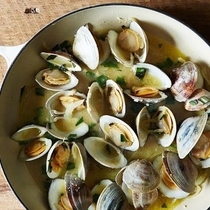 Delicious with tender Manila clams, this dish is every bit as good with mussels too! Ramen bowls are a delicious and simple way to eat a variety of textures and flavors in one deeply satisfying dish. Also, you can often use what you have on hand to make it. These are inspired by New Orleans-style sandwiches of fried seafood with lots of slaw and dressing on a crusty French baguette. You can also put them on a roll and call them a slider. Either way, it's a hearty, easy and delicious way to enjoy our farmed abalone from Davenport. They can be served as appetizers for 6 or entrees for 2 or 3 people. 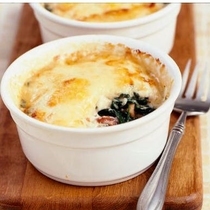 Baked in ramekins with crispy bacon, gruyère cheese, spinach and white wine, these oysters are sublime and worth the effort! 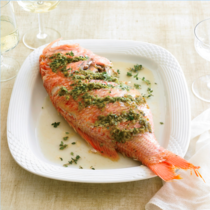 The most mislabeled seafood in the United States is red snapper, which lives in the Gulf of Mexico. On the West Coast if you see "Red Snapper" in a fish store or on a menu, it's more likely rockfish. This is too bad, because rockfish are local, really tasty, and deserve to be well known. 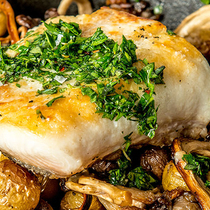 This delicious recipe from Food & Wine Magazine highlights the rich flavor and texture of rockfish with simple grilling that's perfect for warm evenings. 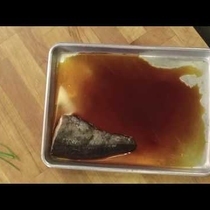 In this video, chef Kevin Butler demonstrates how easy it is to prepare black cod - or other oily fish - with a crisp skin and satisfying texture. Here, it is served with unagi sauce, spring salad, and chives. 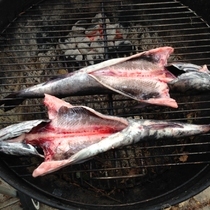 Lingcod, halibut and stone fruit season dovetail nicely in late spring and summer. 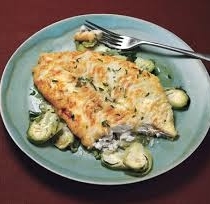 This recipe was originally written for halibut in Cooking Light magazine, but will be delicious with lingcod as well. This luscious recipe comes to us from Bon Appétit. It's quick and easy to prepare, but makes a meal to remember. 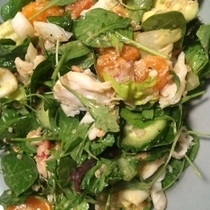 Citrus and avocado are a natural with fresh crab. Grapefruit, tangerines, mandarins. and navel oranges are all wonderful in this recipe, but when Cara Cara navel oranges are in season (they're a hybrid of grapefruit and navel oranges), they add a very special flavor. This recipe is full of bright fresh flavors and rich textures, plus it's easily made–perfect for an impromptu lunch or dinner in crab season! Whole seared abalone with a blistered cherry tomato, red onion and wine compote. I accompanied this with local asparagus and Coke Farm polenta. I would pair it with the wine you used in the compote. I go with a sauvignon blanc as my cooking wine for this dish. 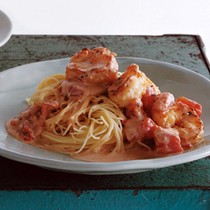 Fast and easy, mouth-watering scampi! 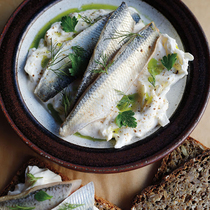 Fast, easy and tasty snack made with our RGF Pickled Herring. Try this easy recipe for your next get together using our award-winning Smoked "Carmel Canyon" Black Cod, crème fraiche, cornichons, green onion, parsley, salt and pepper. 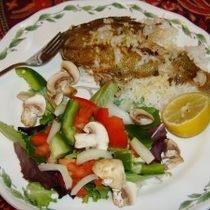 Simple and easy baked sole recipe with an elegant presentation. These can be made ahead of time and kept in the refrigerator prior to baking. Try this winter recipe to warm up any night. Abalone Roll by Thomas Hill Organics, Paso Robles, California. From The Whole Fish. 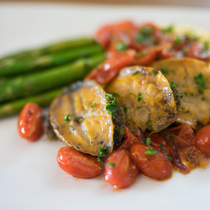 Thomas Hill Organics is a market-bistro located in the heart of downtown Paso Robles. Joe and Debbie Thomas began as an organic farm growing unique varieties of heirloom fruits, nuts and vegetables in the hills overlooking the town. They also make their own wine with grapes that are estate grown. Their bistro is dedicated to serving organic produce from their farm and highlighting unique wines from the Central Coast. 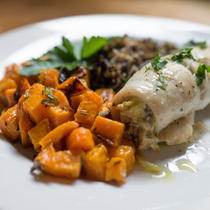 This recipe was developed in collaboration with Thomas Hill Organics chef, Julie Simon. 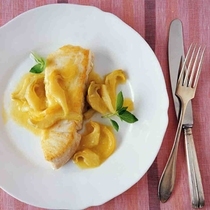 Abalone fillets have a very mild flavor, and so we recommend using delicate sauces with them. This is a simple sauté with aioli on the side. (This recipe is from Food52). 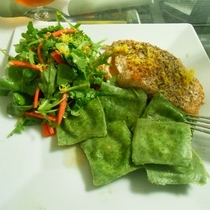 When I made these, I had basil in my garden, so I substituted basil for tarragon, and it was delicious. The abalone pictured here is served with black Imperial rice that has a rich, nutty flavor. 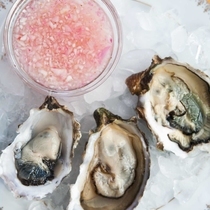 Raw oysters with mignonette sauce is a classic, and with good reason. We offer an Asian-themed variation here, along with a Meyer lemon mignonette that is so delicious it can be spooned over cooked seafood as well as oysters. Try them all, with champagne or your favorite white wine or sake, for a special start to any meal. The Meyer lemon variation is especially good with Muscadet wines! This Scandinavian-style recipe is rich with vibrant flavors and a little zing of cayenne, if you like. It's very easy to make, yet an extra-special dish to serve. This delicious preparation works well with an H & G cut also. Use the flour mixture on the outside, but also put some lime juice and cracked peppercorns inside. Fry until golden on each side, and check the flesh inside for doneness before serving. This richly tangy, tasty preparation is deeply satisfying. 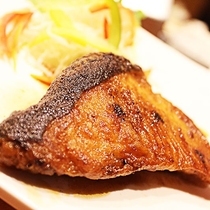 The crispy skin is delicious, and charring from the grill adds an intense flavor accent. 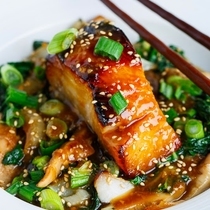 Many of you fell in love with our recipe for miso sablefish… here’s a recipe for miso salmon that makes our mouths water. Serves 2. 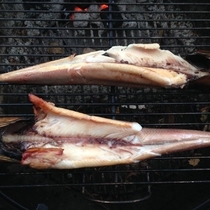 In some El Niño years, bonito make their way into our area and chef Kevin Butler smokes some of the bounty. When bonito aren't available, our locally caught, house-smoked black cod or king salmon will stand in beautifully. 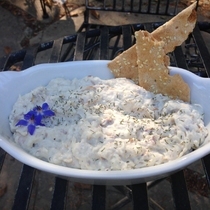 This is a super fast and easy way to enjoy a healthy meal of local smoked fish! Try this easy recipe for your next get together. Using our Smoked El Nino Bonito, creme fraishe, cornishions,green onion, parsley, salt and pepper. 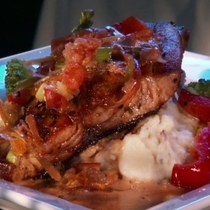 This recipe is courtesy of Paul Jansen and is shared via foodnetwork.com. Serves 4-6. We don’t have a photo – so if you try making this, please send us one and we will post it here! 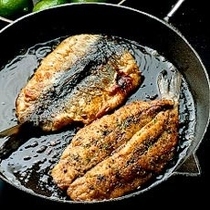 The recipe calls for fillets, but you should just use your pan-ready sand dabs as is. 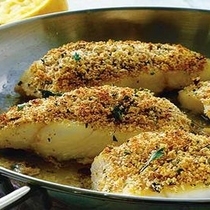 Simple, fast, and delicious describes this baked cod recipe. 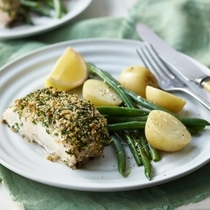 Bake for two sets of 10 minutes each and you have the perfect ten dinner! This recipe was a favorite request from a local restaurant. 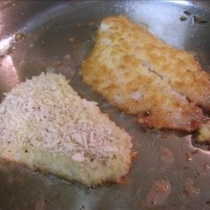 You can toast Panko with butter and herbs in a pan to coat the lingcod, or if you have crackers on hand, use those. This recipe comes from allrecipes.com. Wow! 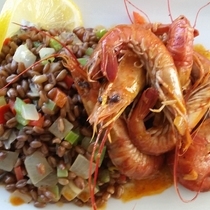 This dish is served cold and is almost like eating raw seafood. 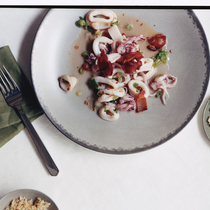 The squid is blanched to eliminate all health risks, but the cooking happens so quickly that it seems raw. 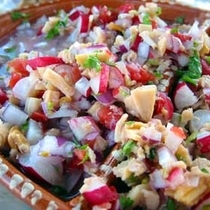 If you like ceviche, you’ll find this to be easy, light, zesty, and refreshing! If bacon makes everything better for you, this may be the dish to try. This recipe appeared in the November 2007 issue of Gourmet Magazine, and is shared via epicurious.com. This is a comforting and super healthy fish chowder with a clear broth and lots of flavor. Yum! A great pairing of flavorful seafood and cured meat that takes just minutes to make and will pair with almost any side dish you like. 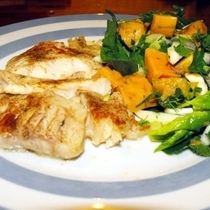 A quick, sweet and easy preparation for black cod, and a range of other species. This takes just minutes to make a delicious meal. 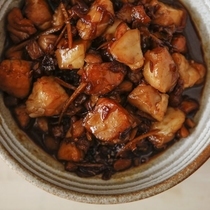 This recipe is from the blog, Maangchi. They write "This spicy grilled squid is a favorite in Korean bars, and if you’ve ever been to one, you couldn’t have missed it. A huge grilled squid covered in shiny, juicy, spicy sauce in the middle of a table full of drinkers. It’s not a dish you eat alone, you share it with friends, the more the merrier, usually with makgeolli or soju. But it’s not just for bars and booze! If you and your family like squid and spicy food, it makes for a great side dish with rice at dinner. But whether it’s in a bar or at home, it’s best presented to the table still sizzling, and then cutting the rings with scissors just before eating. Watching that performance will stimulate anyone’s appetite!" This recipe is from the New Taste Journal. 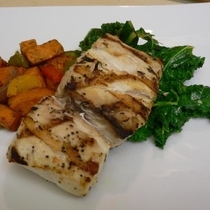 It includes a tasty marinade to use on the fish, which is great by itself, or follow the included links for the suggested side dishes - cajun sweet potatoes and garlic kale. Serves 4. This Egyptian-inspired recipe comes from the New York Times series, "Recipes for Health" by Martha Rose Shulman. She writes, "Dukkah is very popular in Egypt, where it is made with chickpea flour, sesame seeds, sometimes dill seeds, and spices." Bonito has a delicate yet rich flavor. 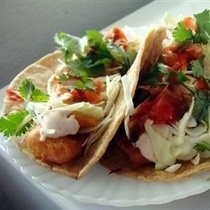 In this recipe, the fish is highly seasoned, grilled, and then broken up into pieces with the tines of a fork and used as the filling for tacos. The slight bitterness from the grilling combined with the smoky richness of the seasoned fish is a perfect excuse to experiment with several salsas as accompaniments. 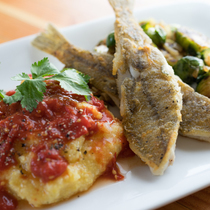 This recipe is adapted from Charles Phan, chef-owner of the Slanted Door and many other San Francisco restaurants, who created a version of it for schools participating in the Real Good Fish Bay2Tray program. The chilies give it a little heat, so omit them or remove the seeds if you'd like a milder sauce. Densely packed palm sugar is available at Asian markets. Serve with jasmine rice. Sand dabs are a local delicacy that can be quickly cooked and made into a delicious meal with a very simple white wine sauce. 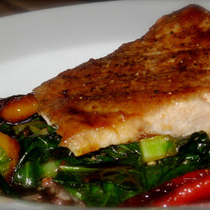 This simple, quick relish provides a delicious accent to the flavor of salmon. This recipe is from Food52. 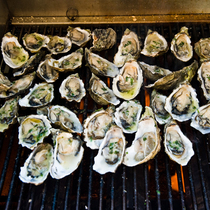 Have you tried grilled or broiled oysters? 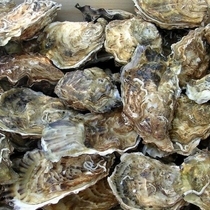 It's so easy, and the quick blast of heat concentrates the oysters' brine and browns their tips without drying them out. 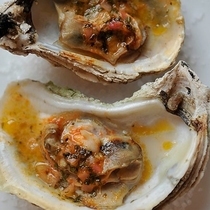 In this recipe you blend butter with Sriracha, shallots, lime juice and cilantro, and as the oysters cook -- we broiled them -- the flavorful butter melts and poaches the plump little bivalves. From brainfood blog: "Seabass is very versatile to cook and does well with simply salt/pepper over the grill or under the broiler. 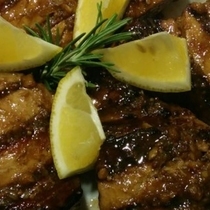 It is on the drier side so marinades are nice or even just a coating of olive oil before grilling. I almost always cook it plainly then make some sort of sauce to put on it after, our kids love it that way. 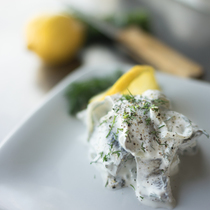 We love it with our spin on a traditional tartar sauce that is so simple; we just mix nonfat plain greek yogurt with relish (or capers) and mustard." 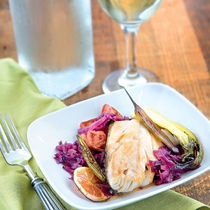 This glaze is great for a variety of fish including black cod (sablefish), lingcod, grenadier and more. It adds a great flavor and only takes minutes to whip up. 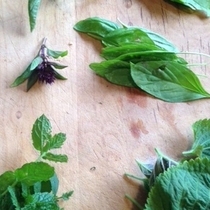 Other herbs substitute well when basil is not available, so be creative and enjoy! 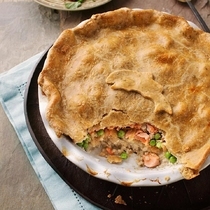 This has a subtle flavor & it's flaky & delicious. Bake it in the oven & enjoy served with mashed potato & steamed veggies. Or you can serve the fillets grilled if you prefer. Utilizing the whole fish is common many places. Although it can be easier to use just fillets, utilizing the whole fish creates more opportunity for creativity and unlocks considerably more flavors. A classic preparation for many species of seafood, this is always a reliable way to prepare your meal and is always a hit with Lingcod as the feature. 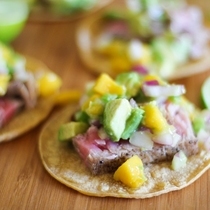 Fresh Tuna, Fresh Mango, Fresh Avocado... Need we say anymore? This recipe makes for some delicious tacos, or just a fantastic salsa to use as a dip or dressing on anything. Fish tacos are always good. 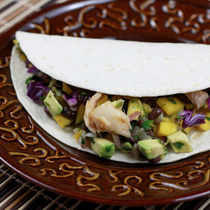 Getting creative with the toppings and flavors you add to them is always fun and this recipe for black bean mango salsa is a great new approach to fish tacos! 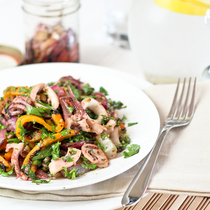 This method of preparing calamari guarantees a tender tasty meal. It's so good that even people who think they don't like calamari love it! Below the main recipe is a quicker version too. 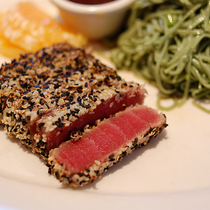 Grilled Ahi doesn't need to be cooked very long. Most people prefer to sear the outside and leave the center warm, but not cooked all the way through. You'll love the taste and be surprised this fish isn't very fishy. This classic preparation has been around for years, but like all favorite recipes, it loses none of its appeal with time -- if anything, it keeps getting better. 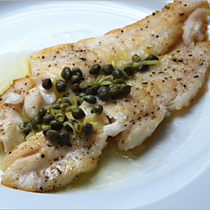 The caper-butter pan sauce is delightful on any simply-prepared fish. Crispy, tender, mouthwatering calamari. This is a classic preparation for calamari. 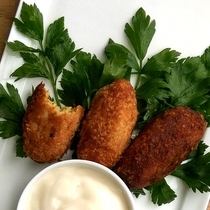 Experiment with your favorite aioli or other dipping sauce and enjoy! 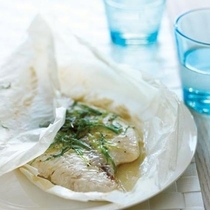 Using a foil packet to cook fresh seafood helps lock in the flavors and creates moist, delicious dishes. You know it's summer time when salmon and stone fruit are locally available. 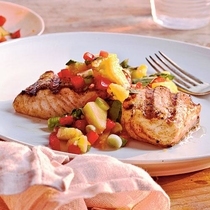 In this fresh dish, salmon and peaches come together to make a great tasting, light and healthy meal. 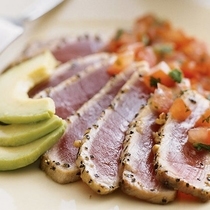 From the ocean to your grill and onto your dinner plate this is a great fresh meal. This mouth-watering recipe comes from Christine Keff of Seattle's Flying Fish. 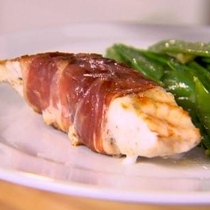 She wraps salmon in pancetta for a smoky flavor, then accents its richness with top-quality olive oil and vinegar. 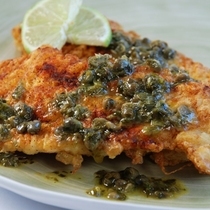 Rockfish fillets are baked on a bed of fresh spinach with some simple seasonings for a delicious and easy one-dish meal. This flavor-filled aioli takes on a faint green hue. 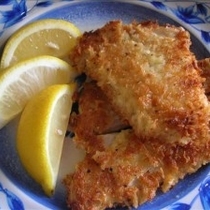 Paired with the crunchy fish sticks, it makes a delicious change from traditional tartar sauce. This is great finger food and takes no time at all to prepare. 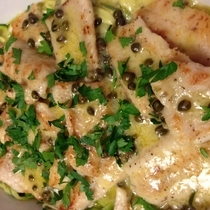 Our chef and fisherman, Kevin Butler, created this recipe. He cautions that if you want to keep your fish skin crispy, don't put the sauce over it. Other than that, enjoy this delicious seasonal recipe. This dish, inspired by one from Southern Italy, feeds a crowd. 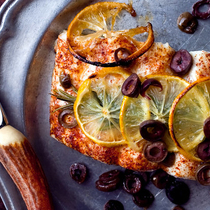 The halibut is seasoned with chile, salt and olive oil, then topped with rosemary, lemon and olives and roasted. 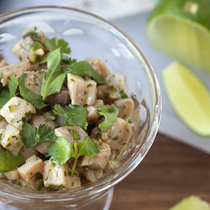 Summer is a great time for light, citrusy ceviche. Our member Monica Jain just wrote to tell us that she made yellowtail ceviche with this recipe adapted from Jose Mendin, PB Steak, Miami. Rumor has it that it's fabulous. This recipe is from Recipe courtesy of John McLaughlin, owner of At Last Cafe in Long Beach, CA.via the Food Network. 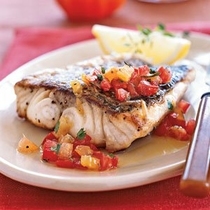 It brings together lots of bright flavors, like citrus, ginger and tomato to make this wonderful fish shine. And if you don't have yes, a Meyer lemon works. 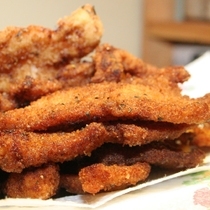 A lighter version of fried fish because its baked. 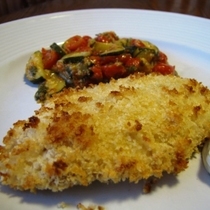 The panko gives a light crust, but it still gets nice and crispy. 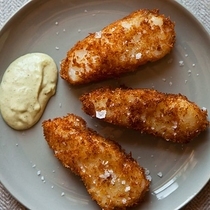 Serve this with potato wedges that you lightly spray with olive oil, season and bake and you have a healthier, no fried version of fish and chips. 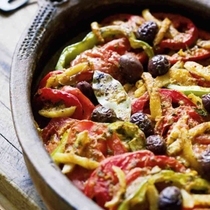 This recipe appeared in the New York Times on April 18, 2012. A great dish to incorporate grains and fresh veggies. 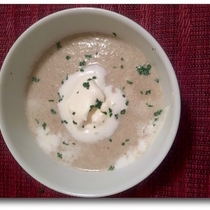 This recipe comes from Riley H. "It turned out really well. (The glaze) added a sweet crispy layer to the outside of the fish, while still allowing the salmon to be a major part of the flavor." This recipe appeared in the May 2004 issue of Coastal Living magazine. It is delicious! Serves 4. 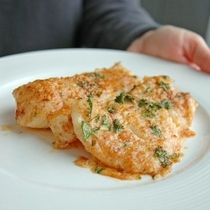 This recipe uses a whole sole, rather than fillets. This recipe appeared in the February 2002 issue of Sunset magazine. Serves 3-4 as part of a multi-course meal or an appetizer. A great dish featuring Oysters grilled with a chorizo & butter topping. You must try this one. 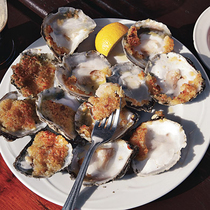 This is a classic Tomales Bay oyster recipe. A fast, delicious way to prepare oysters on the half shell with a great flavor that all are sure to like. 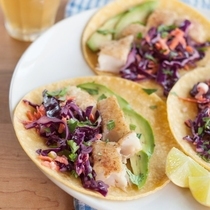 Rockfish, and many other kinds of fillet, is great broiled and added to fresh homemade tacos. This recipe is incredibly versatile, so feel free to get creative. We have it here with a Mexican slaw to top them. 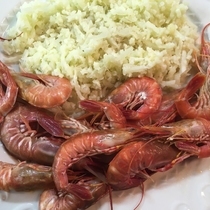 Crunchy prawns (thanks for the help, cornstarch!) gets its zesty, floral heat from Sichuan peppercorns. It's hard to believe that a main course this complex comes together so quickly. 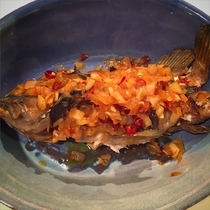 Cooking grenadier or any other white fish in Acqua Pazza, or "crazy water" is a great way to ensure you end up with a moist, tasty, Italian dish. The yellowtail is marinated and broiled, then served on long grain brown rice with collard greens and shishito peppers surrounded by a fragrant homemade miso broth. Delicious! "A favorite Barese recipe (often named for San Nicola, the guardian saint of sailors), these little packets seal in the fish and vegetable juices, with the potato slices insulating the fish from the heat of the oven and the olives and lemon slices emphasizing its bright flavors." 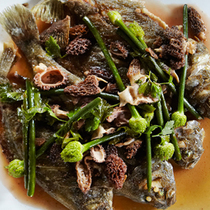 The Pacific sand dab has a delicate, sweet flavor that's brought out with a simple pan-fry in this recipe, anchored by earthy, rich morel mushrooms. 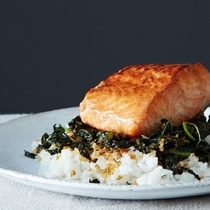 From Sunset Magazine, "Add steamed brown rice and simply cooked greens for a healthy supper. Prep and Cook Time: 25 minutes. Notes: Aluminum foil may be used in place of parchment, but parchment creates an elegant presentation and puffs up while cooking. 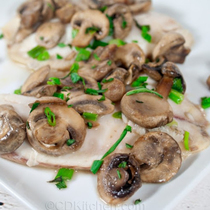 Thin fillets like sole cook in 15 minutes. For thicker cuts, add 5 minutes for every 1/2 in. of thickness over 3/4 in." By Hank Shaw "Springtime is when we emerge from deep, dark braised dishes and stews to enjoy the vibrant new growth of the year. 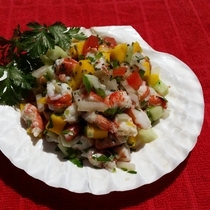 This little crab salad is a clean, zesty way to savor the spring. Success here hinges in the quality of your ingredients, especially the spring greens. Keep in mind here the proportions: If you have other green things, use them. Other options include chives, basil, cilantro, garlic chives or ramps." 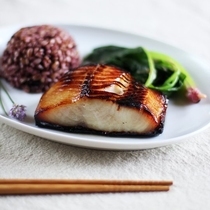 This recipe is a classic Japanese fish preparation, made famous by the chef Nobu Matsuhisa, and it's popular for a reason: Soaked for several days in the salty-sweet miso marinade, black cod becomes silky, deeply seasoned, and completely irresistible. 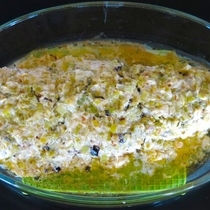 Lidia Bastianch wrote "I love this prepared in individual baking dishes, as described in the note below. But I know most people don't have six such dishes, so I'm offering the recipe prepared in a single large baking dish. I don't want you to miss out on the wonderful flavor of fresh anchovies, just because you don't have small baking dishes. 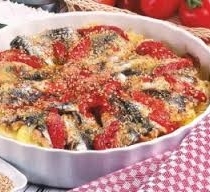 If you serve the anchovies from a large round dish, cut it into wedges, like a cake. Don't be alarmed if the slices crumble a little; that is the nature of the dish. 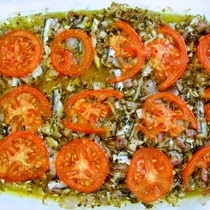 You can easily prepare this recipe for two people: decrease the amount of anchovies by two-thirds to 1/2 pound, but cut the remaining ingredients in half." 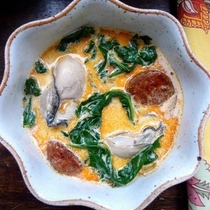 This cream based oyster stew gets its smokey component from chorizo that also gives a little spice to the broth. 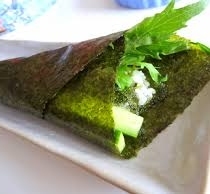 Fresh spinach added at the end gives it color and texture. 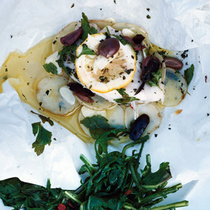 This recipe is from the book Good Fish by Becky Selengut. She's a Seattle-based chef whose recipes are based on local, sustainable seafood. There's a lot of crossover with our local seafood, so it's really worth getting a copy. 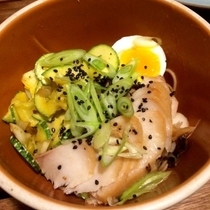 This recipe brings together black cod, with a miso-like dressing, only a little richer. 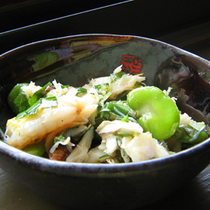 The cabbage and bok choy add nice texture and lighten the richness. 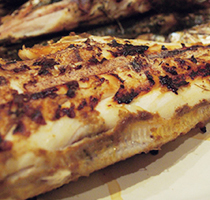 This recipe is great for any mild white fish. It brings together floral and pepper flavors, and since lavender is in bloom, it's timely. (If it's not tomato season, don't worry about this garnish). The recipe also calls for smoked paprika, which is good on practically everything. This recipe is from Food.com but was originally adapted from lavenderhillsofkentucky.com. 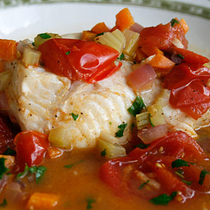 This is a tangy, complex sauce that goes really well with Petrale sole, rockfish, halibut and seabass. 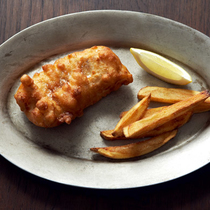 This traditional pub food gets a twist, as the beer batter has a hoppy IPA added to it. There's also a recipe for homemade chips included as well. Tartar sauce, aioli, and malt vinegar. White seabass arrives just in time to be perfectly paired with these summer vegetables. Celebrate the season with this simple, fresh combination! 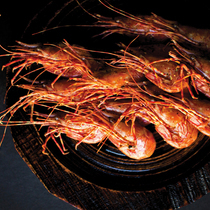 This recipe is from chef David Kinch of Manresa in Los Gatos and was featured in the SF Chronicle in February 2007. This recipe involves giving the abalone only the mildest pounding, leaving it a good 1/2 inch thick. 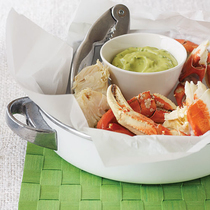 A simple and fun recipe for your share of Dungeness crab. Have fun cracking the legs open with a hammer and sauté in a deliciously simple mix of butter, wine and garlic. 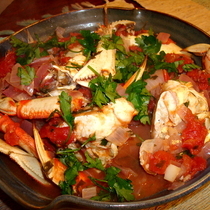 Member Rebecca Elam submitted this beautiful recipe for Dungeness crab. A fun, hands-on delicious meal for your family or gathering with friends. A simple and delicious interpretation of a classic recipe. Created and submitted by long time member, Rebecca (Hiatt) Elam. 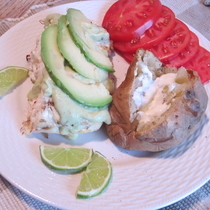 This is a great way to serve grilled halibut, topped with a delicious avocado sauce. 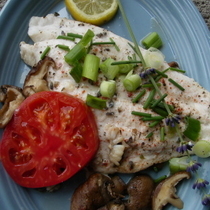 Please note that this recipe was designed with thicker Pacific halibut steaks in mind. 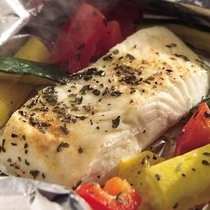 For your California halibut fillets, you may need less time on the grill. Be sure to remove the fish when the inside is still medium-rare so that you don't overcook it. This recipe was in the October 1992 issue of Gourmet Magazine. Serves 2. Photo is from RGF member Haven Brearton. 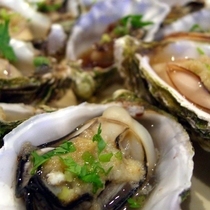 Fabulous flavors accompany this great recipe for your oysters. The liqueur puts it over the top and can even be replaced with Sambuca with delicious results. Serving suggestions include accompanying with crackers or french bread. A recipe so simple and easy with a look that has a wow factor, this tasty and tangy dish is wonderful served with rice or potatoes for a meal your whole family will love. Our Carmel Canyon smoked black cod is perfect in this! Or you can try smoking it yourself. The recipe is very flexible as far as ingredient measurement, and smoking on a regular old Weber BBQ is super easy (there is a lot of info online). His distinctive personality but in sand dabs! From our member Riley: "It turned out great! We both agree that it was our favorite way to prepare sand dabs so far (we have a little trouble getting past the bones). 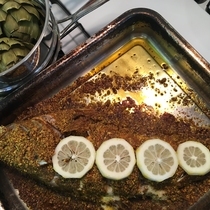 We added red chili flakes to the fish while it was cooking and it gave it a little extra kick." 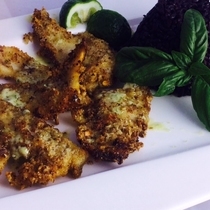 A simple fried sand dab served with a tangy lemon garlic sauce. Whatever the season may be, this delectable dish will have everyone coming back for more. This recipe came to us from Cooking with Rosetta. This pasta features a fresh, light, summery sauce with recognizable pieces of tomato and anchovy. From Bon Appétit magazine, this easy recipe has gourmet flavor and presentation. Enjoy it on a weeknight or when you have guests! 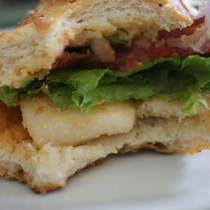 Salmon is very popular for burgers, but halibut is delicious too. Try this easy recipe from Cooking with Amy, and enjoy summer's bounty! The Egyptian nut, seed, and spice mixture called dukkah is the heart and soul of this dish, and just about anything else you put it on too! There are many variations according to taste and the type of food you're serving it on or with, so feel free to improvise. The rich, warm, zesty flavors of freshly made dukkah are worth the effort and it keeps well in the refrigerator for several weeks. 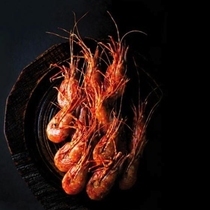 This recipe would be excellent on many types of fish, whole or fillet, plus meats like lamb and chicken, or on vegetables or bread dipped in olive oil. 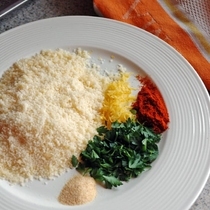 Add mint, thyme, rosemary, oregano, or red pepper flakes to the basic mixture to customize your dish. 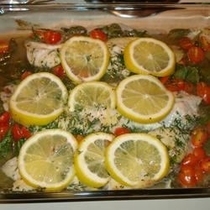 Real Good Fish member, Lynn, shared this recipe with us from www.olivetomato.com "This may simply be one of the healthiest meals you will ever eat. There is not one ingredient in this recipe that is not good for you. 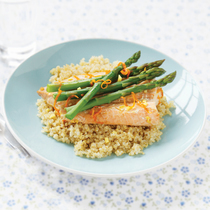 Everything in this dish will not only benefit your body but will make your taste buds happy too! 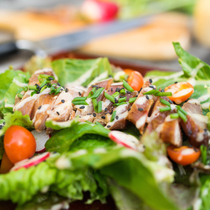 Starting with the anchovies, which are an excellent source of the hard to find omega-3 fatty acids that may protect from stroke and from inflammation, and they are also a healthy source of protein. 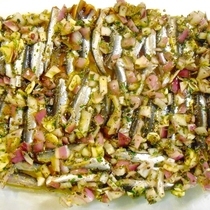 The anchovies are blended with a mixture of onions, garlic, oregano and olive oil. All these ingredients are excellent sources of antioxidants while the olive oil gives us an additional boost of the good monounsaturated fats that can help lower bad cholesterol." 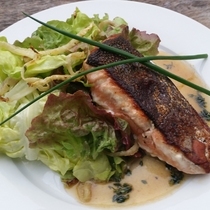 In this video, chef Kevin Butler demonstrates how to perfectly cook a salmon fillet with crispy skin and a thyme butter sauce. 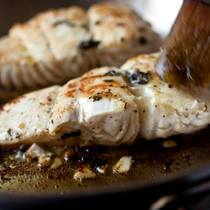 This method works well for other oily fillets, like black cod. 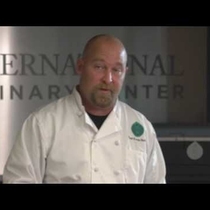 In this video, chef Kevin Butler demonstrates how easy it is to clean squid, and how to cut it for various recipes.. In this video, chef Kevin Butler demonstrates how easy it is to cook and debone our smallest, tastiest flatfish. 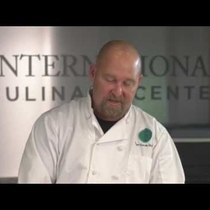 In this video, chef Kevin Butler demonstrates an excellent method for preparing mild fish like halibut, to preserve moisture while adding a nice sear. 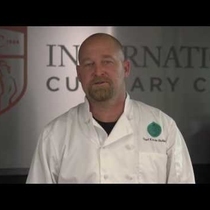 In this video, chef Kevin Butler shows how easy it is to make tender tasty calamari in a tomato basil sauce. 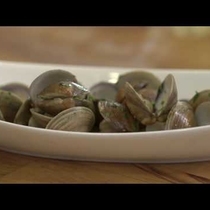 Chef Kevin Butler demonstrates how to make delicious, simple steamed clams in a white wine butter sauce. In this video, chef Kevin Butler shows you how to open a fresh clam so you can serve it on the half shell.